Started in 1983 by Cathy Schoop, Annie’s Hot Dogs had some of the first food carts on the streets of San Francisco. 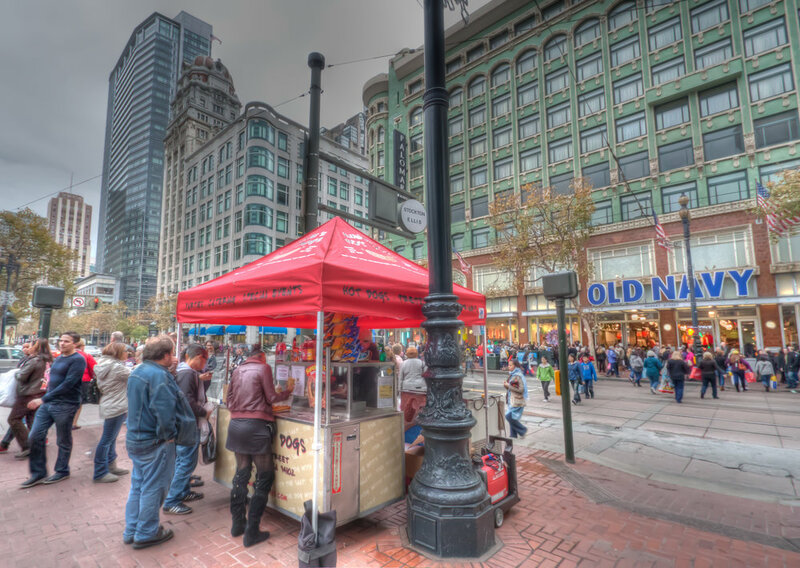 Our first office was in the historic Ferry Building until the year 2000, when we moved our commissary to Hayes Valley. Annie’s Hot Dogs is a small family owned and operated business with locations in Golden Gate Park, Civic Center Plaza, Carousel at Golden Gate Park, and three locations downtown near Union Square. We are a proud member of the Fisherman’s Wharf Merchants Association since 1993 and remain dedicated to the community of San Francisco. We donate effort, time and money to organizations throughout San Francisco such as FoodRunners, SFPD, SFDPW, The Port of San Francisco, St.Vincent De Paul, and The Clara house.